We’ve warned you for months that the Fed is on target for a rate hike in December. We said this before the election of Donald Trump as president and made the point that the rate hike was not dependent on the outcome of the election. The December rate hike was baked in before the election. This was due to rising inflation fears, the desire to hike rates so the Fed can cut them in a recession and the Fed’s political decision not to raise rates at the November FOMC meeting because of the pending election and a desire to lay low. We’ve also told you that there are only four voices at the Fed worth listening to — Janet Yellen, Stanley Fischer, Bill Dudley and Lael Brainard — all of the other Fed heads can safely be ignored. 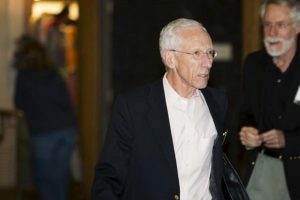 Click here to see how one of those power players, Stan Fischer, has now confirmed our view that the rate hike is coming. That comes as no surprise. What is surprising is Fischer’s comment that he is “reasonably confident” that a Fed rate hike would have no spillover effects in emerging markets. That’s troubling and almost certainly represents wishful thinking on Fischer’s part. In fact, there’s already a global dollar shortage. A stronger dollar resulting from a Fed rate hike could tip emerging markets into a full-blown liquidity crisis. November was volatile because of the election. December may be even more volatile as the Fed leans into the dollar shortage and makes matters much worse.